i triple dog dare you! | Have You Accepted Cheeses As Your Personal Flavor? I was warped at an early age. But it was the good kind of warping. My parents made my brother and I memorize scripture as young children. There’s a story that has reached legendary status in the Nunnally family that tells of my then four-year-old older brother being asked what his name was by a stranger at the beach. He replied, “Seek ye first the kingdom of God and His righteousness.” Classic. One of the verses I memorized as a kid was Romans 12:1. Unfortunately, there weren’t nearly as many Bible translations back then so the New King James was the most modern version around. It started “I beseech you therefore brethren by the mercies of God…” Not exactly kid-friendly vocab, huh? Who the heck says “beseech” anymore? 1. The basic dare. Ex: Dude, there’s that girl you like. I dare you to go talk to her. This is used when the dare-ee would probably do the dare without being dared to begin with. The problem with the basic dare is that it can easily be ignored. 2. The double dare. Ex: You don’t wanna talk to her? Come on, I double dare you, bro. Now we’ve taken this thing up a step. 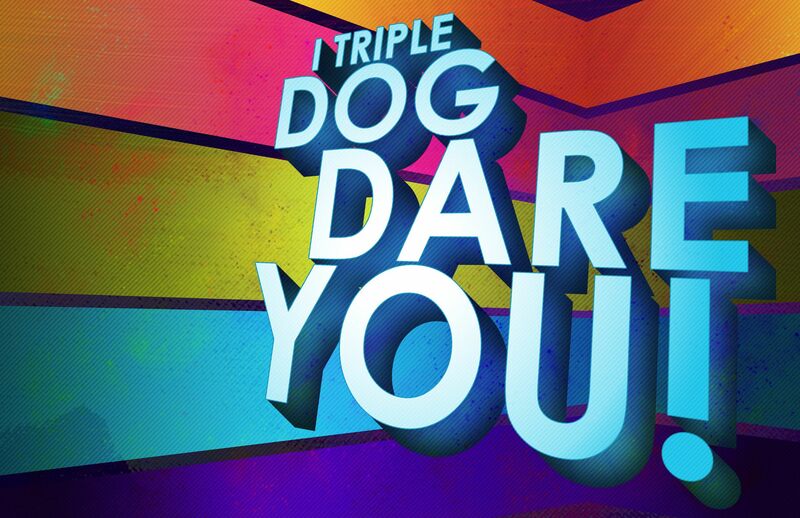 You can’t just ignore a double dare. The dare-er has just given the dare-ee something to think about. 4. The triple dog dare. Ex: This is so ridiculous! I can’t believe you! You’re such a pansy! Go talk to her! I triple dog dare you! Ok, now we’ve reached critical mass and the triple dog dare has been used. This is essentially a kill-shot by the dare-er where they are pulling rank and demanding the dare be done. No person in their right mind would ignore a triple dog dare. You just don’t do that. It doesn’t matter how awful the dare is, not performing a triple-dog dare is much worse. I think the Apostle Paul is handing the Romans a triple dog dare here. He’s essentially saying Look, there’s really no other option here. Quit dragging your feet, just bite the bullet and do it already.